If you’ve ever been in vehicle around 5-6 p.m. you know what rush hour is. Rush hour is the time where traffic is the heaviest. 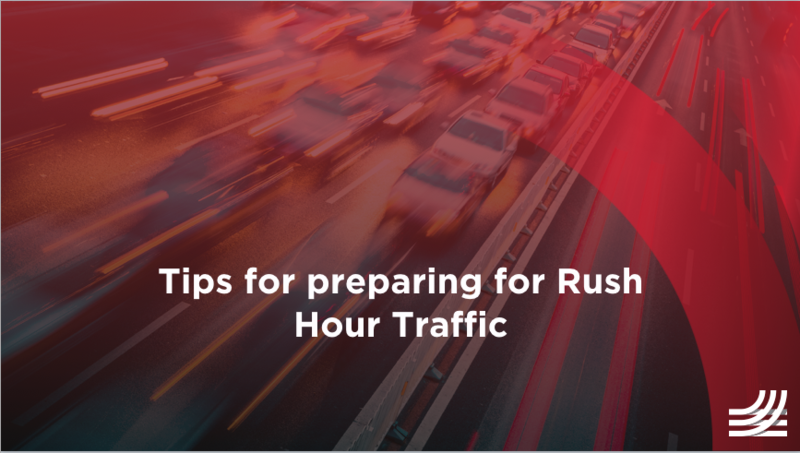 Rush hour can be one of the most trying times for a driver as accidents, road closures, construction and heavier than normal traffic can cause you to be late for a deadline. We’ve compiled a few tips for staying calm and collected when traffic starts to stack up. Making sure you have enough time to complete your delivery before the deadline can be tricky. However, with map technology you are able to estimate your driving time and you can always add a few hours, and pinpoint areas (like cities) that will likely have high traffic. Adding a few hours to your drive time can’t hurt and will assure that you make the delivery on time. This will also lower your stress levels when you do encounter rush hour traffic because you are prepared. Make sure you leave plenty of distance between you and the next vehicle. Minimize lane changes and prepare for stop and go driving. Keep your eyes peeled for anything out of the ordinary and anticipate situations that are unsafe. Always pay attention to blind spots, always signal before making a lane change, and apply brakes smoothly rather than jamming on the pedal. Staying calm and patient through traffic can make a world of difference. The key to this tip is being informed. Use the radio, CB, or smartphone apps to know the travel advisories before you’re on the road. The more informed you are as a driver about weather and driving conditions, the better you’ll be when faced with a difficult route. Preperation is essential for driving long distances. The more knowledgeable you are about your route and driving conditions the better prepared you’ll be for unfavorable situations. At US Transport, we understand the challenges a driver faces. We will help you prepare for your haul and you’ll never be alone out there on the road. Contact us today to find out more about our way of doing things.